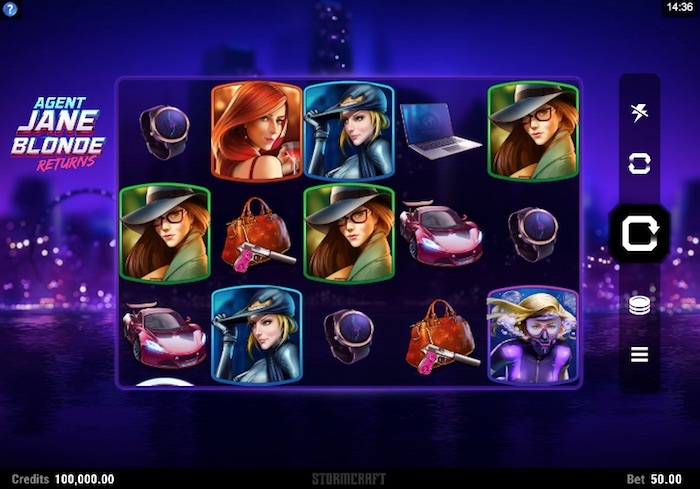 Agent Jane Blonde Returns Slot Review | How Much Can You Win? Does anyone remember the first Agent Jane Blonde casino game? No? 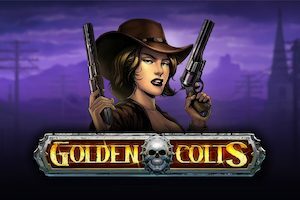 Cutting a long story short, Agent Jane Blonde (a very clever person came up with that name) is the title of a Microgaming online slot released 14 years ago. That game was basic, using just 9 ways to win and filling in the gaps with free spins and multiplied wins. This slot is Agent Jane Blonde Returns, a deferred sequel that looks good, but like most re-inventions of the wheel is probably not needed. Anyway, let’s take a closer look. Agent Jane Blonde Returns is a 5-reel, 3-row spy-themed online slot with bets between £0.05 and £400.00 per spin. Interestingly, Microgaming has not developed this sequel to its original Jane Blonde but instead outsourced to newcomers Stormcraft Studios. On graphics, the game is much improved over its 14 year old sister while animation has naturally moved on. Agent Jane Blonde Returns is bigger on pay lines too, opting for 15 ways to win. The images now more politically correct empower females while mobile gameplay gets a debut thanks to HTML5 specification. 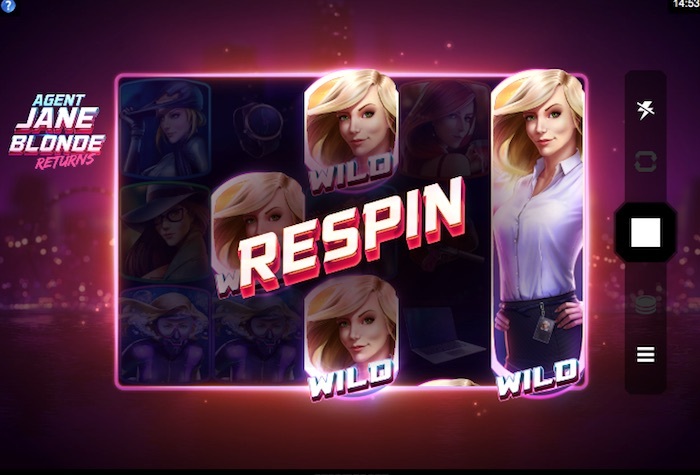 Except there’s a major setback in ditching the original slots free spins multiplier bonus (which would have worked here), this time sending in reel re-spins to complete the mission, but it’s not enough. Add in low volatility and there’s potential for lots of little wins, but that makes Agent Jane Blonder Returns even more prudent. Is there a market for Stormcraft Studios attempt to revive a long-retired female agent? Of course, but those players will want to tread carefully. If you’re betting big, little can happen that will boost your bankroll. If you’re in the low stakes, the returns will hardly be worth risking your life for. Nonetheless, you can win up to 300 x your bet playing this online slot. I’ve read other Agent Jane Blonde Returns slot reviews that say things like ‘action packed’, ‘you’ll be shaken and stirred and pumped of adrenaline playing this game’. I couldn’t get those vibes. Instead, it feels flat with not much going on. On a positive note, you can play from just £0.05 a spin; it’s visually impressive and there’s stacked wilds in base play. 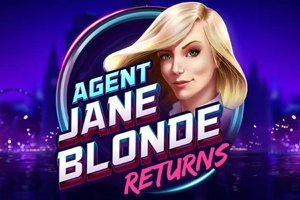 How much can you win playing Agent Jane Blonde Returns slot? In the video slots favour, the simplicity continues with how Agent Jane Blond Returns displays its pay table. Forget coin values that can be confusing, this is straight up prize value, and it adjusts automatically with the bet value. Before we look at how much you can win, the game has a payout rate of 96.45% RTP, a jackpot of 20 x betting stake and 15 ways to win. Keeping with the obvious spy-theme, Stormcraft use well-crafted illustrations for Jane Blonde, villains, sport scars and other secret agent stuff. These 10 strong symbols litter the games 5 reels and pay various win amounts according to bet placed. If you play at £0.05 a spin (lowest bet), the smallest win is £0.03 for 3 x gadget watches. Other prizes include £0.15 for 5 x secret documents, £0.50 for 5 x scuba gear Jane Blonde or £0.60 if you line up 5 x night life Jane Blondes. The jackpot (5 x Wilds) is £1.00 while the slots maximum win is £15.00 at £0.05 per bet. Move the stakes upwards to £400.00 a spin (highest bet) and the smallest pay line win is now £240.00. 5 x laptops return £800.00, 5 x secret documents £1,200.00 while the jackpot is now £8,000.00. Other symbols also feature. Note the max win of 300 x stake is now £120,000.00 when playing at max bet. advantage of the games ultra-small bets and keep stakes minimal. That said, there are some game mechanics (features) that might keep Jane in her expensive clothes and designer hand bags. It’s not often that new online slot games will shy away from feature-rich mechanics. We know Stormcraft Studios can do the big stuff (we’ve seen Fortnium), but Jane Blonde is lacking field skills this time around. She’s getting older, perhaps even tired. In the year 2019, she could have brought so much more. I could have typed paragraphs about new slot features, but instead I’m writing lines of thin text. Stacked Wilds and Re-Spins with Sticky Wilds, need we say more. There’s no question, Jane Blonde is back, she’s older, better looking (thanks to Stormcraft Studios visuals) and cheaper, not her personally but the £0.05 starting bet. But here’s the question, did Jane Blonde need to come out of retirement? It’s true the original although dated still attracts players, but a sequel, all the hype, it should have been so much better. Jane Blonde Returns is an upgrade in terms of graphics, animation, sound, betting limits and pay lines. However, it doesn’t have the action packed game mechanics that 2019 new online slots should command. Mission abort!